So if your looking for a list of UFC events, then you have come to the right place, because right here at the MMAGateway, you will get all the details you need for events information, ticket prices, and how to book tickets for the upcoming UFC 216: Ferguson vs Lee fight card, coming up on Saturday 7th October, at the T-Mobile Arena in Las Vegas Nevada. If you haven’t been to UFC event before then this will be a great one to start at, and let me tell you UFC events are the most exciting live events that you can go to in the world in my opinion. As I mentioned in the main event we will be watching “El Cu Cuuy” Tony Ferguson go head to head with “The Motown Phenom” Kevin Lee. These two had a heated verbal exchange in the interview in the picture above, as Tony Ferguson interview Kevin Lee about his win over Michael Chiesa, which turned into a full on attack on each other, so there is some bad blood boiling here. 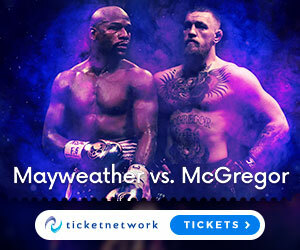 Also the winner of this fight could potentially be Conor McGregor’s next opponent when he returns to MMA bout after his huge boxing match vs Floyd Mayweather this weekend, so this should be a really entertaining fight, so in today’s post on top of giving you ticket booking information, we also are going to give you a full analysis on all of the main card fights. Tony Ferguson vs. Kevin Lee – So as I mentioned at the top in the main event we have Tony Ferguson vs Kevin Lee and this will be an explosive main event. Lee is fresh off his dominant win over Michael Chiesa via submission, and Tony Ferguson is coming off an impressive beat down of former lightweight champion Rafael Dos Anjos. Both men have great stand up, and both men are great grapplers, but I have to say I do think that Kevin Lee is a better wrestler and athlete, but Ferguson is more durable I think, so its a really tough one to call. But gun to my head I would have to go with Tony Ferguson to have slightly too much for Lee, so I’m picking Ferguson via decision. Fabricio Werdum vs. Derrick Lewis – ok this is a big heavyweight collision and we all love a good heavyweight collision right? :) they might get tired quicker, and be slower then lighter weights but we all know the potential of a first round KO is always possible with such big guys. Derrick Lewis is coming off a tough loss to Mark Hunt, and Fabricio Werdum is coming off a Majority decision loss to Alistair Overeem. Both men need a win here, but in this bout I have to say that I fully expect Derrick Lewis to win this fight via KO, because as good as Werdum is – being such a high level BJJ Black Belt, with much improved striking and deep experience. But I just feel that Werdums chin has been exposed in some of his fights and Lewis hits harder then most Heavyweights, is much younger, and his all round game is improving at a quick pace, but don’t be surprised if Werdum makes me eat my words on this one. Bobby Green vs. Lando Vannata – This has potential fight of the night written all over it, both men are action fighters that provide entertaining bouts. Especially Vannatta who is a spinning head kick throwing, flowing like water “groovy” kind of fighter 🙂 and in this bout while I think Vannatta should have the edge on the feet and definitely should be the more creative of the two fighters, Bobby Green is no joke and I think his Wrestling will be far superior to Vannattas here, as well as his experience and athleticism, so I’m picking Bobby Green to win possibly by TKO, but possibly by decision. Thales Leites vs. Brad Tavares – This is a solid Middleweight bout, both men are grizzled UFC veterans at this point, both men are not likely to ever be champions at 185 at this point in their careers, but both men are high level combatants with skills everywhere. But in this bout I expect that Tavares should be the better athlete who can out muscle his way out of a lot of dangerous situations, and use his experience to pick the right moments. Its a tough match to call because both men are coming off wins and this is a good match for both men, I don’t necessarily expect it to be fight of the night because both men have shown themselves to be tentative in certain fights, but it will be a high level chess match that I will be tuning in for! Beneil Dariush vs. Evan Dunham – another potential fight of the night here, Dunham is a real top 20 UFC veteran at 155, and Dariush is a prospect who has potentially yet to hit his best years. Dariush will have the advantage on the ground with a very high level BJJ game, but I think Dunham will be too experienced for that, and I think he will be the tougher fighter, and he is on a 4 fight win streak so I expect Dunham to “out grind” Dariush to get the decision win. Also on the under card we will have Will Brooks vs. Nik Lentz, John Moraga vs. Magomed Bibulatov, Matt Schnell vs. Marco Beltran and another big heavyweight bout in Walt Harris vs. Mark Godbeer. Now we have had a look at all the fights, regular readers and event attenders will know that UFC event ticket prices vary hugely from event to event and this UFC 216 Ferguson vs Lee event is no different. The prices really are determined by what star name fighters are fighting on the card and how expensive the running costs have been for the promotion at the specific arena that the event is being held. Now just so you know for this UFC 216: Ferguson vs Lee event on Saturday 7th October, at the T-Mobile Arena in Las Vegas Nevada, ticket prices will be ranging from $36 – £3,114.00. If you want to look at all the seating plans, prices and event information then go to my favourite ticket site. Las Vegas in October is where you need to be! So that’s everything you need to know about this upcoming UFC 216 Ferguson vs Lee bout on Saturday 7th October, at the T-Mobile Arena in Las Vegas Nevada. Being in Las Vegas is a great experience in and of itself, but when your in town to see a UFC event, then I guarantee you will have one of the most entertaining experiences of your life! So at this point if your ready to buy your ticket and get yourself to Las Vegas on October 7th for UFC 216, then you can get your ticket right HERE. Dont forget that at the MMAGateway, we have event breakdowns/ticket information for most major UFC and MMA events so stay tuned for fight card ticket information! I hope you enjoyed this post and as always if you have any comments or general feedback then feel free to post some below – don’t forget to like, share, subscribe and I will see you again soon!